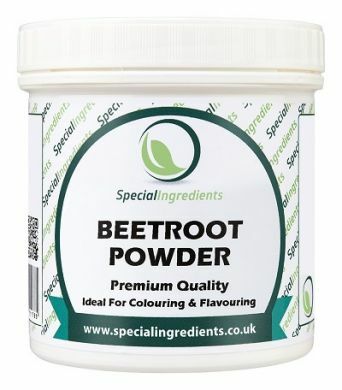 Beetroot Powder large pot 500g is a premium quality, rich, refined spray dried powder. Ideal for colouring foods or flavouring. 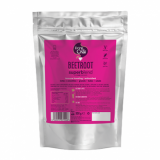 Beetroot powder is a healthy food supplement and contains potassium, Vitamins B6 and C and Folic Acid. It is a powerful antioxidant and a totally natural product. 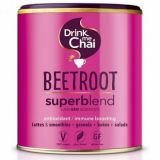 It has a characteristically sweet flavour and has many applications including adding to smoothies, juices, water, curries, marinades, rubs, dips, cakes, biscuits, bread, pasta, soups, sauces, mousses and many more. It can also be used to add a deep colour to your cooking and you can sprinkle it on anything you feel it would enhance. Its uses are endless and at the same time it is very nutritious and acts as a great food supplement. Be adventurous and try adding it to your own recipes. Use to create an amazing colour in your cooking. Add to smoothies, juices, sauces, soups. Use as a health food supplement. Use to make beetroot juice. Add sufficient Beetroot Powder to obtain the result you require. For health benefits the recommended dosage is at least 5g to 15g per day.